Samantha Miller received the Small Business Administration’s 2019 Woman-Owned Small Business of the Year Award. Learn More! South Dakota Prairie Gateway is a portal for economic development information in Eastern South Dakota. Whether you are a site selector looking to locate in one of our rural communities or a local business in search of training opportunities and resources, you’ve come to the right place. Our economic development history is rooted in the pioneers who had a vision for developing the prairies.  Take a look around and see how we are pioneering development in Northeast South Dakota.